This Variable Sound Controller will allow you to instantly go from a full aggressive exhaust note, to a more subtle tone. You can switch up the tone of your BMW as you're driving with just a push of a button. This VSC will allow you to switch modes in as little as one hundredth of a second to avoid any unwanted attention. 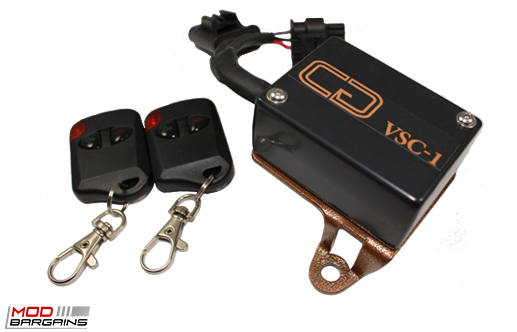 The Variable Sound Controller (VSC-1) is a direct plug and play valve controller designed to remotely control your vehicles exhaust sound at any time. 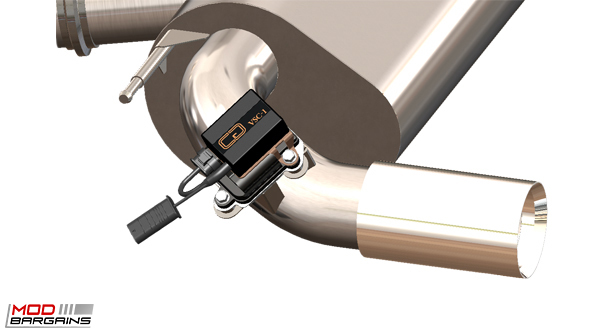 The controller mounts directly to the valve actuator motor, located near the muffler. The controller is simple and instant, using either of the two high quality key fobs that are provided, or through integration with the BMW HomeLink system. The VSC-1's electronics allow switching between open and closed modes in as little as one hundredth of a second, which is faster than any other control methods. 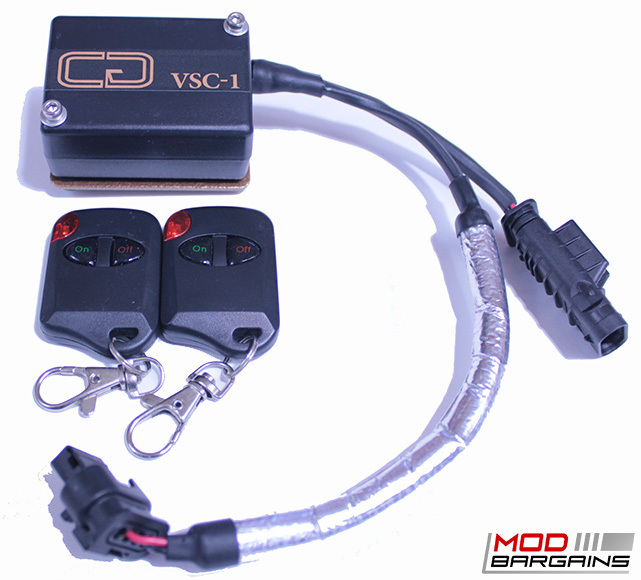 The VSC-1 is a must for those with exhaust modifications and even with the factory exhaust system. This controller gives the driver full control and enables driving in comfort mode while still enjoying the music made by the twin turbo engine, or driving in sport+ mode with zero drone. Please Note: The VSC-1 can be ordered with any choice of Open, Closed or Automatic (Factory Control) for the default setting or the activated setting. If non-standard operation is desired, please specify default setting and activated setting. The VSC-1 will revert to the default setting any time the car is powered off, and can be switched to the activated setting any time the car is powered on. The engine does not need to be started to open and close the valve.